Where would we be without our vegan sisters? Sister of Soul in St Kilda could see that Melbourne needed a little sister of theirs, and what better spot than on Swan Street in Richmond. This is where Sister of Soul is now creating and serving their latest vegan dishes. If we want to make a change in this world, where better to start than on our plates. This has been Sister of Soul's philosophy since their inception, and we can do so by 'stepping into the lightness'. What differentiates the Richmond location from its St Kilda one is its vegan-only menu. A generous scattering of gluten-free options feature on the menu, too, so that those with allergies can dine in confidence. 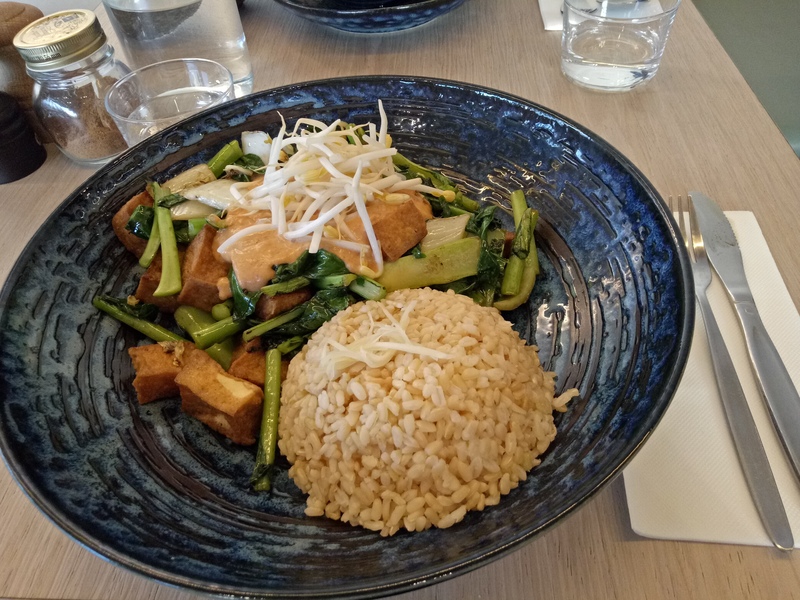 Despite this key difference, the level of intensely rich and fragrant veganised flavours that Sister of Soul is known for have been carried over to Richmond. It's as if the flavours have wafted over across the Yarra, only to nestle in Sister of Soul's new sun-drenched corner-stop. 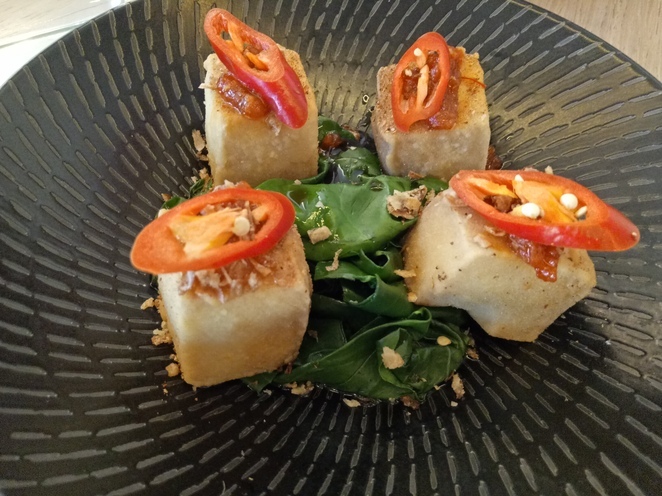 Salt and Pepper Tofu is easily shareable, that's if you want to share! It would be tempting to choose Sister of Soul's legendary Polenta Jenga for entrée (yes, you can also get those here) though any new beginnings open the door for new experiences. This is when Salt and Pepper Tofu walks in as a choice. 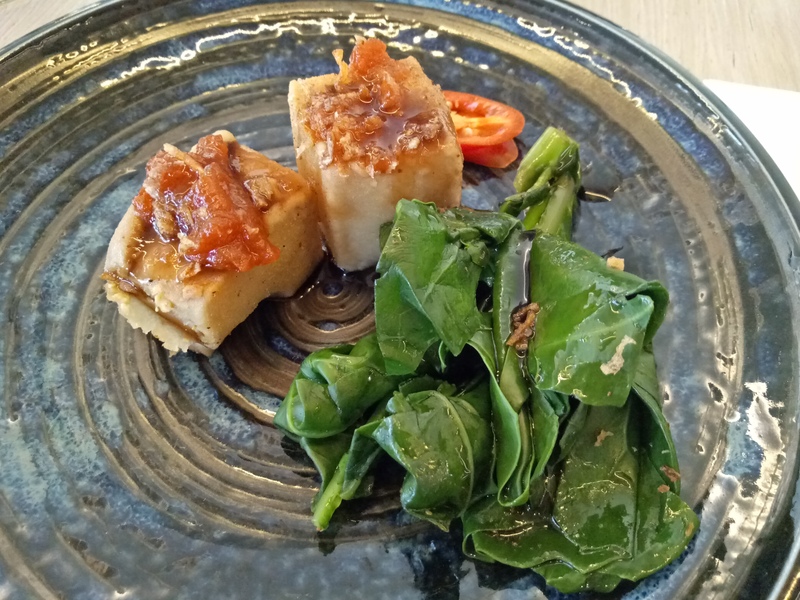 Silken tofu is prepared in Sichuan style, lightly floured, delicately fried and served with a bouquet of wilted Asian greens and finely sliced chilli, then dressed with spiced black vinegar. These elements are plated up and drizzled in a light and spicy chilli jam. It'll be hard to share this dish with your dining partner if you do decide to order it as a shared entrée. For mains, you simply can't dine at Sister of Soul Richmond without ordering the Green Sister stir-fry. Stir-fry tends to be perceived as a stock-standard dish, but Sister of Soul's 'sister' version defies the stereotype. Green Sister features a range of all-green superfoods, such as 'gai lan' (Chinese broccoli) and bunches of wombok and bok choy. 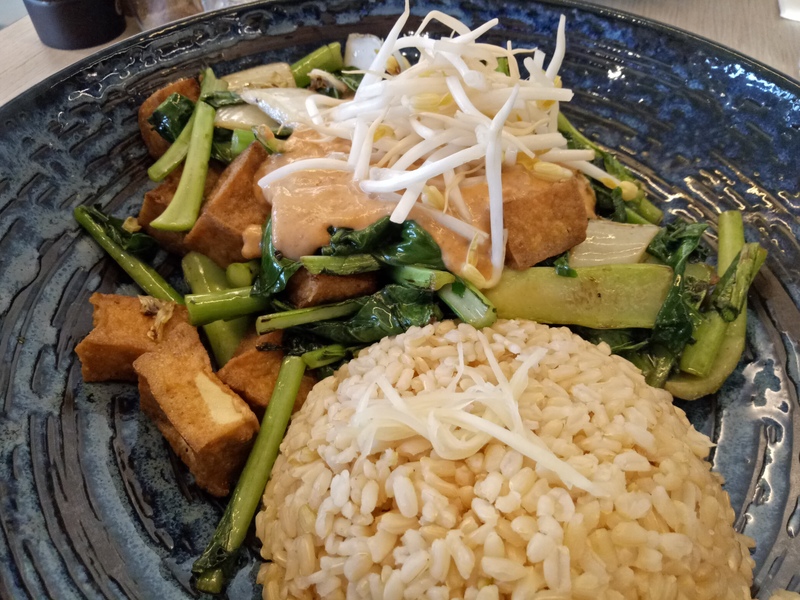 All of these greens are combined with chunks of tofu, crunchy-fresh bean shoots, tamari sauce and ginger. The best part about this dish is that you can choose the finishing sauce from a list of three options. My tip is to choose the almond-based satay sauce that's an alternative to the usual peanut. Almonds give a refreshed nutty taste to this age-old classic sauce. Obviously, Green Sister is served aside a dome of fluffy, steamed brown rice. If you have any room left in your belly, then you might want to try one of the desserts on Sister of Soul Richmond's separate desserts menu. 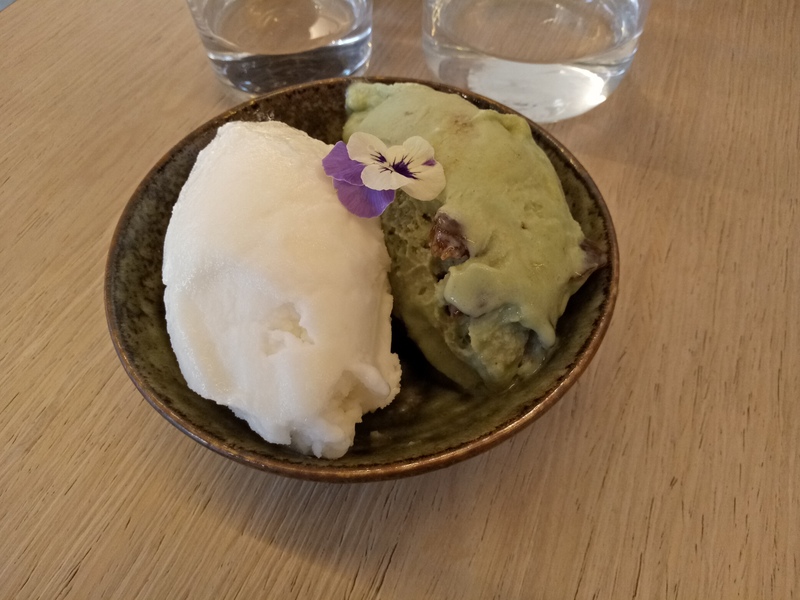 A modest bowl of pistachio and coconut sorbets is a subtle finish to this meal and can be easily shared if you only want a little bit of something sweet. It'll round off the meal perfectly, without making you feel you've overdone it. Looks amazing! I have been meaning to go here since it opened.